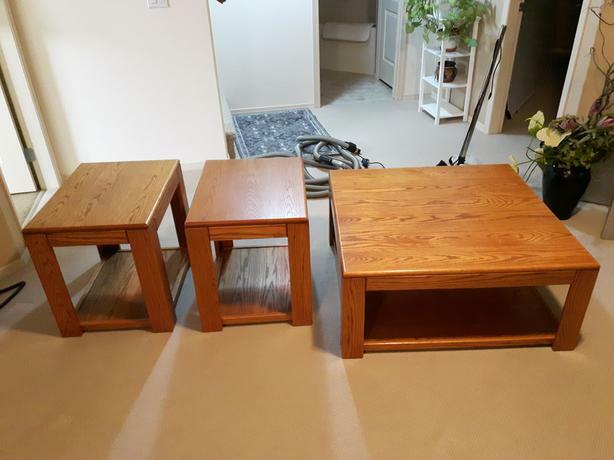 These are solid Oak coffee tables. Not a mark on them, like new. Will last a lifetime. Asking $99 or best offer. must move these. Don't be the last one to call.